A few days ago, OnePlus CEO. 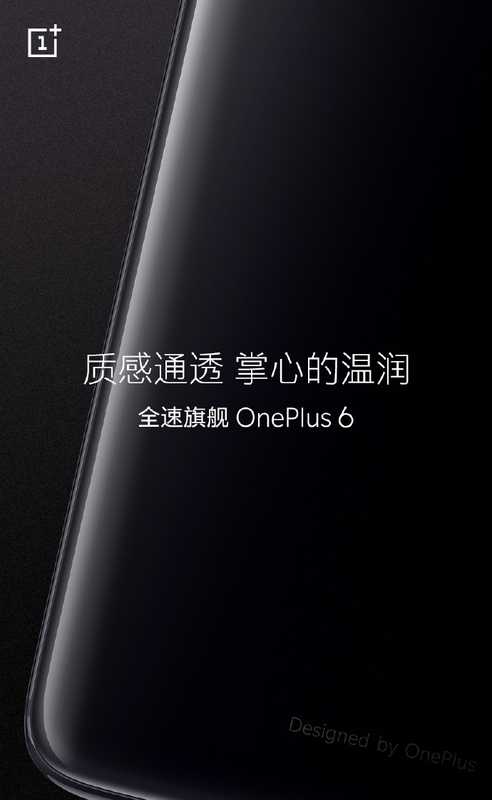 Pete Lau, took to the OnePlus forum to give a detailed description of the upcoming OnePlus 6. From his statements, this smartphone design can best be described as “honest” and it will sport a glass rear. 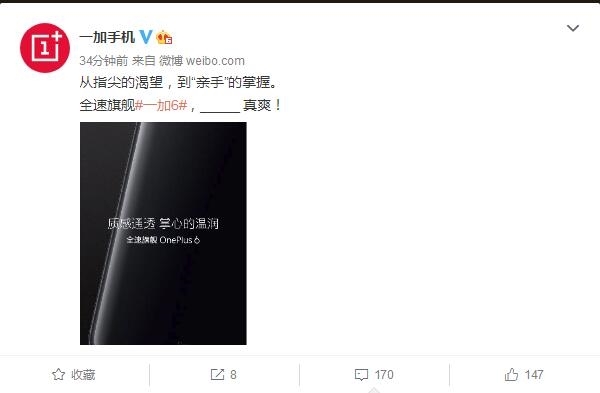 Now, the company has taken to its official Weibo handle to reveal the rear design of the OP6. According to OnePlus, the texture of this smartphone is “transparent” but we can see from the image that it actually looks super smooth and the entire back shell of the new flagship is very rounded as well. OnePlus design team tried over 70 designs before it accepted the current design. The company claims that the OP6 rear is printed on five layers using nanotechnology and this is the first time it has been done in the industry. As a result, it claims that its glass design will give users a new dimension feel even though it is not the first company to use a glass rear. Compared to metals, glass is more visually sensitive to create a transparent, bright, and pure feeling. From previous reports, OP6 will arrive sometime next month and it will be equipped with a 6.28-inch full-screen and will be powered by a Snapdragon 845 SoC coupled with 8GB RAM and 256GB internal memory. It will run on Android 8.1 and its lights will be kept on by a 3450mAh battery.